Press release 2019.04.17 - ZYLIA PORTABLE RECORDING STUDIO. MULTI-TRACK MUSIC RECORDING WITH ONE MIC. Making high-resolution 360-degree recording in the field easier than ever, Zylia today introduced a Windows tablet-compatible version of ZYLIA software for the company’s acclaimed ZYLIA ZM-1 microphone. Convenient tablet-based control over the ZM-1, a compact 3rd order Ambisonics microphone, gives sound engineers and musicians a lightweight and highly portable solution for capturing immersive audio in any environment. “Field recordings can yield unique audio samples that bring terrific character and richness to a variety of applications,” said Tomasz Żernicki co-founder and chief technology officer of Zylia. Designed for bands and musical ensembles, sound engineers, podcasters, and audio creatives working in 3D audio, Ambisonics, and virtual reality, the ZYLIA ZM-1 is an incredibly light, compact, and beautifully designed recording solution capable of delivering 48-kHz/24-bit resolution while capturing the full spatial sound scene. Boasting 19 high-quality digital MEMS microphones, the spherical array together with software can auto-detect sound sources from around the microphone and capture that sound as separate tracks for further editing on a digital audio workstation. Setting up tablet control over the ZM-1 is straightforward. Users need only install the ZYLIA ZM-1 Windows 10 driver ([insert link]) and ZYLIA Studio software on a tablet equipped with a 64-bit processor and 64-bit Windows operating system. Once the ZYLIA Studio application is activated, the system is ready to go. The recording workflow is no different than with a laptop or PC. 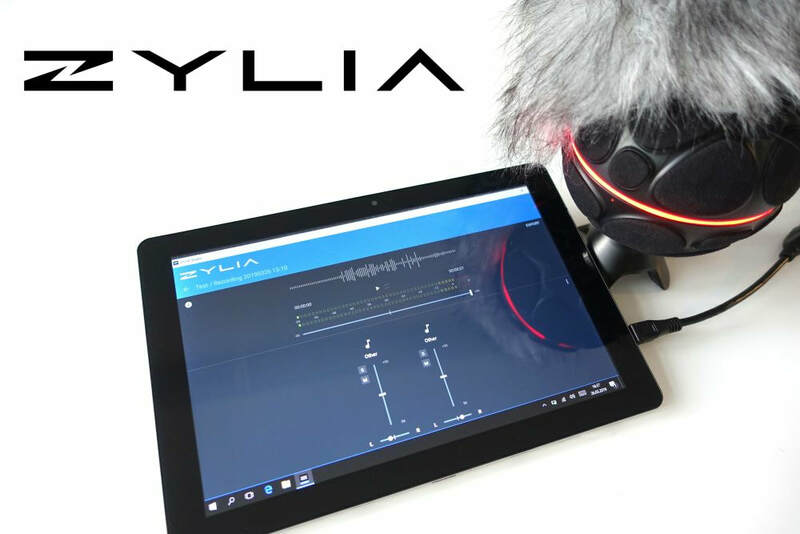 Users just set up the ZM-1 microphone in the desired location, plug the microphone into the tablet using an USB cable (and microUSB adapter if necessary), open ZYLIA Studio, and begin recording. Recordings can be processed with the ZYLIA Ambisonics Converter plugin. Users can convert audio samples to 3rd-order Ambisonics and perform further processing if needed. Zylia software even enables users to fine tune the position of sound scene to reflect a particular camera position.